Kristina Marsh is a Circuit Civil Mediator certified by the Supreme Court of Florida and devotes a percentage of her practice to mediating a broad range of civil disputes, including but not limited to Personal Injury, Insurance Coverage Disputes, Forced Placed Insurance, Priority of Coverage, Equitable Subrogation and Indemnification, Personal Injury, Commercial, Construction, Disputes involving Homeowner/Condominium Associations, and Bad Faith. In addition to her mediation practice, Ms. Marsh is an experienced civil litigator whose diverse practice includes insurance coverage cases, commercial disputes, personal injury, products liability, premises liability and construction defect litigation. While a large percentage of her practice is focused on matters involving first party insurance coverage and disputes arising from property damage claims and losses related to Windstorms, Sinkholes, Water & Flood, Plumbing Leaks, Roofing Failures, Fire, Arson, Theft, and Mold, she also defends individuals, businesses, agencies, and institutions in various types of third party claims, including: Professional Liability, Slip & Fall, Premises Liability, Homeowner Liability, Automotive Liability, and Construction Defect from inception through appeal. She has been involved in several noteworthy cases involving breach of an insurance contract and interpretation of the terms, conditions, and exclusions contained within an insurance policy. In addition to managing her diverse practice, as a Mediator Ms. Marsh appreciates the expense and risk of litigation and works closely with her clients to find ways to achieve an early resolution and minimize expense, where possible. Ms. Marsh does not treat any insurance defense case as routine. Whatever the case may be, Ms. Marsh works closely with her clients to develop innovative, case specific litigation and defense strategies at the inception of each case. Ms. Marsh's early management and identification of case specific fact or legal issues provides her clients with a roadmap for litigation so that they can make informed, realistic, and cost-effective decisions. Ms. Marsh has been certified by the state of Florida to provide Continuing Education courses and frequently conducts seminars on mediation, appraisal, insurance trends, claim handling strategies, and legal updates. In addition, Ms. Marsh is a certified WIND Appraiser and WIND Umpire. 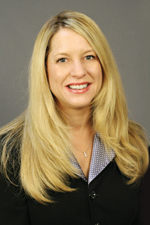 Ms. Marsh joined Hinshaw & Culbertson LLP in October 2007. Previously she worked for six years as a senior associate at Butler Pappas Weihmuller Katz Craig LLP in Tampa. Prior to that, she spent a year as an associate at Abbey, Adams, Byelick, Kiernan, L.L.P., in St. Petersburg, practicing in the area of workers compensation defense. During law school, Ms. Marsh clerked for the Office of the Attorney General in Lansing, Michigan, and was a certified legal intern in the Civil Litigation Department of the Office of the Attorney General, in Tampa. In addition to her other law school accomplishments, Ms. Marsh was Staff Editor of Michigan Opinion Notes. She was a member of the national and intra-school moot court teams, and served as Executive Lieutenant Governor, of the American Bar Association Law Student Division. Prior to her legal career, Ms. Marsh worked in human resources management. Named as one of Florida Trend magazine’s "Florida Legal Elite", 2015–2016. The Legal Elite represent fewer than 2% of the active Florida Bar members who practice in Florida. "eDiscovery & ESI: Social Media & Litigation," Clearwater, Florida, April 2015. "Mediating Property Damage Claims," Tampa, Florida, December 2014. "Case Law Update: Appraisal Process," Tampa, Florida, October 2014. "Mediation Ethics Update: Overview of recent Florida MEAC Opinions," Hillsborough County Bar Association, March 2014. "Effective and Ethical Use of Social Media Investigation and Litigation of Insurance Claims," Tampa’s 10th Annual Continuing Education Seminar, Rimkus Consulting Group, Inc., June 2013. "How to Manage Workers' Compensation Litigation in Your Shop" co-presenter, OSF Occupational Health Annual Employer Breakfast, Bloomington, Illinois, May 2013. "Understanding and Analyzing Catastrophic Ground Cover Collapse Claims and Sinkhole Claims in Florida," Tampa, Florida, July 2011. "Assignment of Benefits and Water Damage Claims," Fairfield, California, October 2011. “Recent Changes in Florida’s Spoliation Law,” author, The Subrogator, Spring/Summer 2006 edition. Kristina Marsh Named to 2015 Florida Trend Magazine’s "Legal Elite"